Okay Abites, bear with me on this one. This is written as a true crime story. The protagonist in the book IS Blaine Pardoe, the author. He claims, in an interview I read, that although some of the names were changed, everything else is true. Is that a stunt? Did they deliberately leave in the typos and the unpolished writing to lend more creedence to the "true story" feel? Is it a marketing ploy of some sort? If so, it has backfired on me. Occasional typos are one thing. I can get past them. But this book is riddled with them. I found the typos really distracting, having to read a sentence through more than once to figure out what the author was trying to say. The writing was repetitive until you got at least half way through the book (I nearly gave up). The other major problem I had with this book, is that the book itself makes up only 75% of the Kindle download. All the other promotional stuff at the back is the other 25%. While it is the norm to publish promotional material at the back of a book (my own book has about 10%) I do think 25% is extremely excessive. So in summary, it was creepy enough that when I finished it at 2 a.m. I needed to pick up something lighter and start reading it so I wouldn't be dwelling on it as I tried to sleep - which I think is a good thing, and the story held my interest. But unless the author gets this book polished up and proof read I really can't recommend it. Abites, do you like "true" crime/paranormal stories? What is the best one you have read so far? “I wasn’t prepared for this, hell, no one was, especially the police. I could wrap my mind around a serial killer back then. Oddly, that was easy especially when these crimes first broke. Serial killers seemed commonplace – almost boring. The Route 211 killings were big news, but only for a few weeks, then the story disappeared, except for those of us involved with the investigation. “These killings were something more. 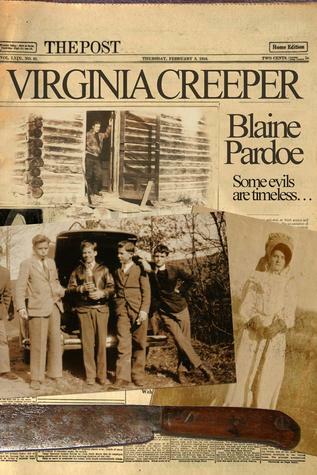 The Virginia Piedmont had malevolent secrets that were thought long lost and forgotten. The more I dug the more I discovered that these horrific murders spanned centuries. The common link to the savage murders was to the crazy Fitzwater family, but their ties to the crimes were even more sinister than the public ever knew. It was something dark and evil, a killer that didn’t just kill his victims, it performed rituals that still send shivers down my spine. 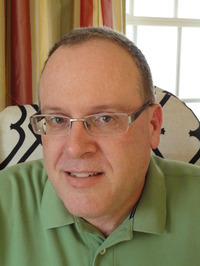 Blaine Pardoe is an award winning author of numerous books in the science fiction, military non-fiction, true crime, paranormal, and business management genre's. He has appeared on a number of national television and radio shows to speak about his books. Pardoe has been a featured speaker at the US National Archives, the United States Navy Museum, and the New York Military Affairs Symposium. He was awarded the State History Award in 2011 by the Historical Society of Michigan and is a silver medal winner from the Military Writers Society of America in 2010. In 2013 he was awarded the Harritt Quimby Award as part of the induction ceremony at the Michigan Aviation Hall of Fame. Mr. Pardoe is also a member of the League of WWI Aviation Historians.